Looking for an affordable getaway for you and your family? Here are 4 reasons why you want to Zwakala our way to Magoebaskloof, Limpopo. Our area is a travellers paradise. From cascading waterfalls to incredible hiking routes, there is something for everyone. One of our favourites routes is the Magoebaskloof Trail. There are 4 “routes” on this trail, each beautiful and varied yet challenging in their own way. We love the 2 night, Dokolewa pools trail (great for swimming). As the weather can be unpredictable pack good waterproof hiking boots. Another gem is the Wolkberg Hiking Trail - a challenging hike up to Serala peak. It’s a great time for beer lovers. 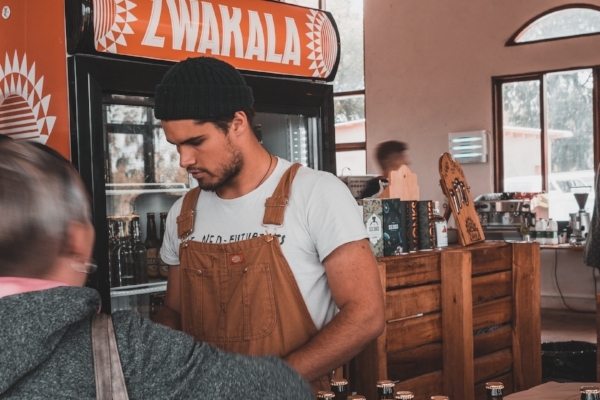 Zwakala Brewery embodies an ethos of togetherness and the word Zwakala actually means “come closer”. Each weekend locals and tourists venture to the charming taproom - the perfect family outing. Enjoy the beer on tap, brewery tours, gin tastings, burgers and outdoor games in a very scenic setting. The brewery is planning a Music Day, Lamb Spitbraai, Trivial Pursuit Bingo & a Sassy Summer Sundownder Party. Dates will be available soon. Sign up to our Newsletter if you don’t want to miss out! Our extended hours over December are: Open from the 14th December - 6th Jan. Closed 25th, 26th Dec, & 1 Jan.
A stones throw from the Brewery is Zwakala River Retreat. We have a range of accommodation on our privately owned farm including eco-friendly river cottages and two private campsites. Located on the Broederstroom River (the source of the Great Letaba River) the farm is perfect for summer swimming or wild trout fishing. Prices are around R1500 a night for 4 people (no charge for kids under 12). The private campsite (with kitchenette and open air shower overlooking the river) is R80 per child and R150 per adult. Zwakala is a 4 hour journey from Jozi - on the N1. Plan to leave by lunchtime on a Friday to make sunset on the farm! Follow your GPS to Haenertsburg, then put ‘Zwakala Brewery’ in and follow the directions to Cheerio Road (5km on a dirt road). From the farm, the hiking trails are less than 30 minutes away. Note: Our friends have recently started Love Limpopo - an online platform to showcase the untouched province of Limpopo. All from the eyes of locals - Find out more about biking trails, art and cultural routes & bush experiences by following this link.